The starfish are made of resin which is sturdy and safe to use. These starfish shape simple, beautiful, simple color. They are similar with natural starfish without the smell like seaside. The starfish are good decorations for wedding, craft project, holidays, home, etc. They also can be directly put into the water, good decoration for fish tank. PACKAGE: 40 pieces white starfish. HIGH QUAILTY: The starfish are made of resin which is sturdy and safe to use. FEATURE: The starfish shape simple, beautiful, simple color. They are similar with natural starfish without the smell like seaside. 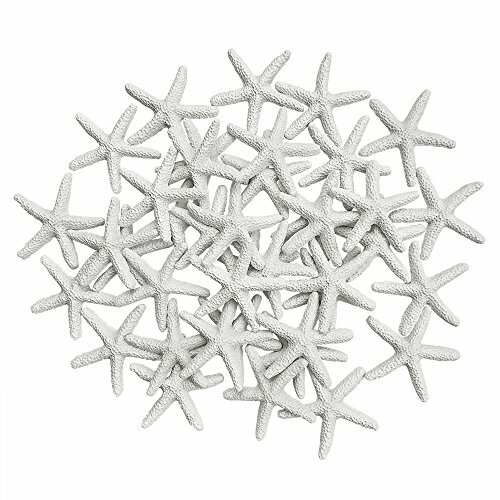 GREAT FOR DECORATION: The starfish are good decorations for wedding, craft project, holidays, home, etc. They also can be directly put into the water, good decoration for fish tank. If you have any questions about this product by PROPARTY, contact us by completing and submitting the form below. If you are looking for a specif part number, please include it with your message.